Today we stand at the Second Sunday in the season of Lent. I think it is always good to remind ourselves of the purpose of Lent; for many it has become a time when we give something up. For some of us this is a way of showing devotion to God, for others however it has become nothing more than a tradition that is a part of our lives because “we’ve always done it”. However Lent is so much more! 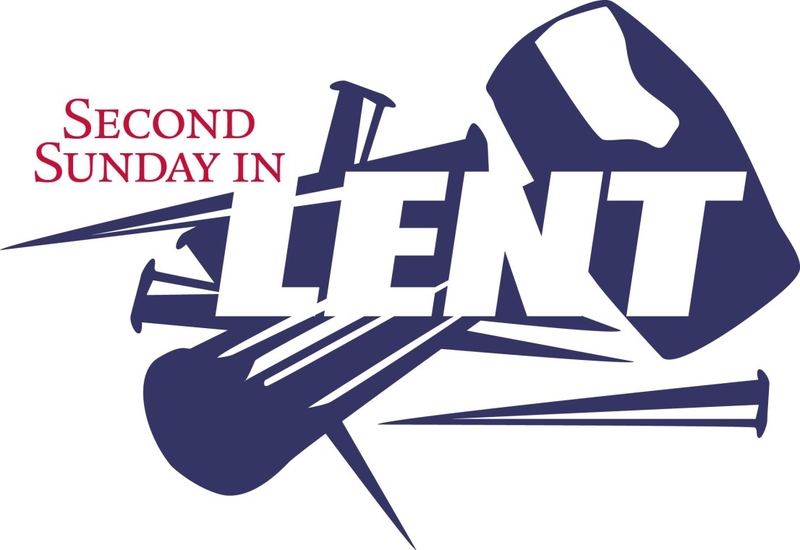 Lent is one of the two great preparatory seasons of the Christian year (the other being Advent). During Lent, though we may give things up or take up practices as a sign of our devotion, their true purpose as acts of piety should be to help chasten our bodies and minds in anticipation of commemorating the sacrifice of Christ on Calvary and being partakers in the future promise of the glory promised us through his resurrection. With this in mind, I am sure that many of you are left asking yourselves why we have read the transfiguration story during this time of penance and preparation; especially when the transfiguration already has its own feast day on the Church calendar. Well to put it quite simply the transfiguration is an event in which the Lord shows forth many great wonders concerning Himself, His sacrifice, and His glory. Within the events of the transfiguration we see elements that point clearly towards the divinity of Christ. Most obviously the voice of the Father booms forth from heaven proclaiming that Christ IS the Son of God, not that he has become a Son of God as we may become. This clearly points out to us that Christ’s sonship goes beyond our own and that He in fact stands as eternal member of the Divine Trinity. If we couple this with the imagery of the bright clouds, Jesus’ face shining like the sun and the stark radiant whiteness of his garment we can see that the Scriptures point even more strongly to this point. Another important element that we see within the transfiguration, especially for this time of year, is the message that Jesus has come as the fulfilment of the promises of the Old Law and Prophets and has come to redeem the living and the dead. At the transfiguration we witness two historical biblical figures conversing with the Saviour, namely Moses and Elijah. It will come as no surprise that in this instance Moses has come to represent the Old Law and all those who have passed away under the old covenant. Elijah however, may come as a bit more of a mystery to some of us; he represents the Prophets and through the fact that he did not taste death but was instead taken up to heaven represents all of those who are alive in Christ. The presence of these two great biblical figures and all that they represent shows forth to us that all the Law and the Prophets, the living saints and those who have passed beyond the veil bear witness to the divinity of Christ and stand ready to bear witness to His mission upon the earth. It is my hope and prayer on this the second Sunday in Lent that we may all stand as Moses and Elijah, ready to witness to the miracle that is the life and work of Christ. We stand at the precipice of the commemoration of the greatest moments in human history. Each Lent I stand in awe of the great works of Christ and all that He has done for us. I am reminded constantly that I am but an imperfect human and that as such I am not worthy of the great sacrifice that He has performed for me. May we all this Lent strive to shed our sinful nature and walk a more Christlike life so that we may be at least fractionally worthy of all that the Lord has in store for His Faithful servants. Merciful God, we thank you for sending your Son to suffer and give his life for all people. Teach us, who have been born again, to forget ourselves and rely only on Christ our Saviour. For he lives and reigns with you and the Holy Spirit, one God, now and forever.